Reach tens of thousands of households around Martin County without breaking a sweat. The iconic Blue Envelope of coupons from Valpak takes the leg work out of local advertising by way of direct mail. We offer single and multipanel coupons, circulars, flyers and more cost-effective direct mail formats. 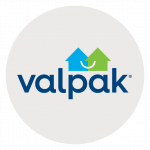 Valpak uses more than just one avenue to connect companies to consumers. Our staff is Google Ads certified, and Valpak is a Google Premier Partner. We offer a suite of digital solutions to help build your company’s web presence. We can build your business a mobile friendly website, drawing more traffic to your site through SEO, placing relevant ads in front of consumers’ eyes through SEM, and engaging more people through social media management. Valpak of Coastal Florida gives you a better way to measure your ROI. Our performance tracking dashboard tracks calls generated by your printed piece, as well as clicks and coupon prints spurred by your online ads. If you’ve been searching for a way to measure performance, you’ve found it here. For specific dates and coverage, contact your Valpak of Coastal Florida representative.